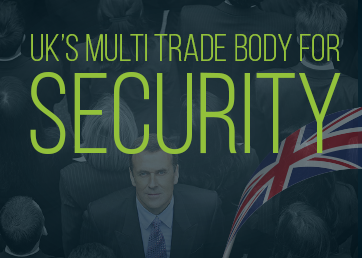 Welcome to SIU; the UK's Multi Trade Body for Security Industry Professionals and Medics. We are here to look after your best interests at work and deliver an attractive group of benefits free of charge. 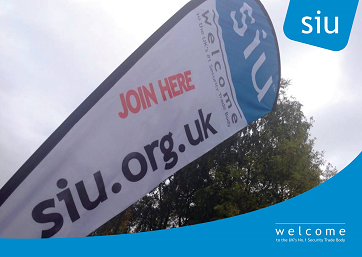 Find out how you can benefit from SIU membership now. Advice line is available 24/7 and 365 days a year at your disposal. We understand how important it is for you to access advice as soon as you need it. Protecting your best interest by representing you in disciplinary and grievance cases. Workplace problems can be daunting, therefore we have help in place to protect your best interest and wellbeing. Changes to the legal aid system mean that very few could access to legal aid. We have arranged a specialist cover to defend you in police stations and courts against any allegations of any criminal offences brought against you by the Police, HMRC, SIA, Companies House, or any governmental, administrative or regulatory body. This is a service covers up to £100,000 of the defence costs and built into the public liability insurance for our members. This includes the use of solicitors, barristers and expert witnesses that would be crucial in defending your case and winning. You can save on your daily shopping to fuel. 50% OFF or 241 at over 6,000 restaurants, cafés and pubs. Includes independent and chain providers such as Pizza Express, Prezzo and Hilton Hotels. Executive tier benefits such as airport concierge, fast track security, priority check-in and luggage, immigration priority lane, worldwide airport lounge access which include free drinks, quality food, newspapers, magazines, wi-fi and work stations. Have an amazing time before your flight. A wide range of discounted personal and business insurance products provided by our business partners. ABTA-bonded in-house Travel Agency. Discounts on most operators including online comparison websites. A range of grants and emergency access accommodation are available to help you and your family when you need it most. Medical Malpractice Insurance provided for Medic SIU Members. Skill set accepted from First Aider up to Critical Care Paramedic. Public Liability Insurance for Medic SIU Members. Skill set accepted from First Aider up to Critical Care Paramedic. Teach and instruct up to your scope of practice. Skill set accepted from First Aider up to Critical Care Paramedic. We know how important it is for you to maintain and improve your knowledge and skills related to your professional life. A wide range of CPD access provided such as presentations, workshops, seminars, industry specific events, e-learning and training courses. You may complete as many as attendance, and on-line courses with PC or mobile access via an app you wish and record them on the secure cloud. All certifications are personalised to you, CPD accredited and formalised by The CPD Certification Service for global recognition. Portfolio builder has been designed to enable you to demonstrate compliance with the requirements for CPD. You may combine portfolio requirements or create a generic one. You can also select your own portfolio targets. This feature allows you to select specific entries to include or exclude in your portfolio. This is a must have feature especially if you are a multi-registered professional such as dual role CP Medics. You can get access the system 24/7 from anywhere and view activity report and summary of achieved standards and download presentation file on-line or print with a simple click as the system takes care of the filing and creating of the document you require. Your can record your own secure Diary & Reflection Practice and upload supporting evidence of development or record an analysis of an incident. Being a multi-agency trade body, SIU relates to the Security, Law Enforcement, Military and Medical professionals. What this means to you is that you will have a wide range of subjects available to you to choose from which will place you in a great advantage. Improve personal performance and enhance career progression which is beyond just formal training courses in a recognised professional format that impresses employers and that official bodies accept such as Health Care Professionals Council (HCPC) and Nursing and Midwifery Council (NMC) . Although the Security Industry Authority (SIA) currently does not require professional portfolio other than specific course certificates, it is highly likely that SIA will require a professional competency portfolio the future in-line with its role in improving industry standards. Is your employer a good payer? Whether you are employed or self-employed it is always a worry when things go sour. We continuously monitor security companies and credit check them in order to alert our members if there is anything untoward. Working life can be stressful, you can book your room have a great time with your family. We can offer same day temporary emergency housing access and no deposit permanent housing for SIU Members. If you have a limited company and wish to protect your private home address, you can benefit from our business address, registered office service. SIU Members enjoy accessing fully-furnished office, hot and cold drinks, copier, WiFi, computer and staffed reception. 24-hour access to a real, physical mailbox. 100% approval. Master debit card, direct debit facilities, online banking as well as mobile banking with a mobile app. Credit card facility available by invitation only. Service provided by third party financial institute. Credit builder available for those who want to improve their credit score. 100% approval. Service provided by third party financial institute. Defence spray is UK Legal. The spray ejects red colour dye on to the assailant's face and clothes for up to SEVEN days. It can't be washed off. Provides a smart alternative to the carrying of bulky and heavy metal cuffs and plastic cable ties. Tuff-Ties are made of braided nylon cord with a reinforced poly-carbonate locking block, they are very secure and nearly indestructible. Extremely compact, Tuff-Ties can be carried in your pocket or stashed in the bottom of your handcuff case as a back up. Pre-threaded - ready to use and apply. Easily carried and concealed restraint. Reduces prisoner injury. Used and approved by over 4000 (ref Niton999.co.uk) police agencies and security forces in all types of arrest and restraint situations around the world. Our guide cards make it an instant easy access reference point in your pocket for you to refresh your memory, to quote to the offender and police, to justify your actions by backing it up with the applicable law either verbally or in a statement. Our guide cards are standard credit card size and thickness, waterproof and almost indestructible, and made in the UK to a very high specification. SIU members can now workout their tax bill and submit their tax returns and tax rebate claims directly to HMRC using an HMRC recognised tax calculator. We will assist you to claim what you are due as in tax refund from HMRC. These could be professional subscriptions such as SIU membership, SIA licence, HCPC licence and washing your uniform. Unless you claim it you loose it. It is suitable for anyone who needs to file a return. There is plenty of support and safeguards to ensure that your returns are error free in relation to your allowed expenses and of course the tax savings you qualify for. SIU members enjoy the nationwide collection and drop off and same day service of their cars at over 1500 vetted garages in the UK. Service provided according to the manufacturers' schedule and your service book will be stamped protecting the warranty on your car with 12 months parts and labour guarantee. Vehicle Breakdown Cover includes roadside assistance, home start, legal expenses insurance, accident recovery and insured car, overnight accommodation for up to 6 passengers, Key Loss/Break Assist and UK Nationwide vehicle recovery with up to 6 passengers. 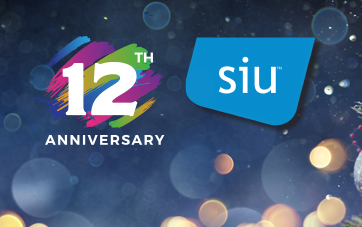 © 2009 - 2019 Security Industry United (SIU). All rights reserved. 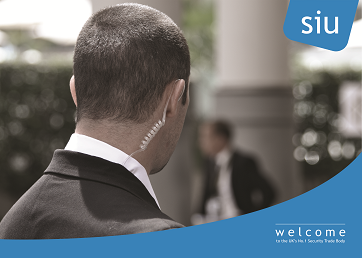 Security Industry United and SIU are the respective trademark of the Security Industry Union Ltd. Registered office: Headlands Business Centre 10 Headlands, Kettering, NN15 7HP Registered in England & Wales No. 7051660. SIU is not an insurance broker, underwriter or a trade union. SIU member benefits are discretionary. Our preferred solicitors are regulated by the Solicitors Regulation Authority. Executive Director Mr Tolga Kavak.